Western province Council Chief Minister issuru Devapriaya , Provincial's Ministers and Provincial council Members , SLFP Secretary General and former Minister Thayasri Jayasekra, Minister Rizard Badudeen, and Arabs Countries Ambassador in Sri Lanka were participated this events. 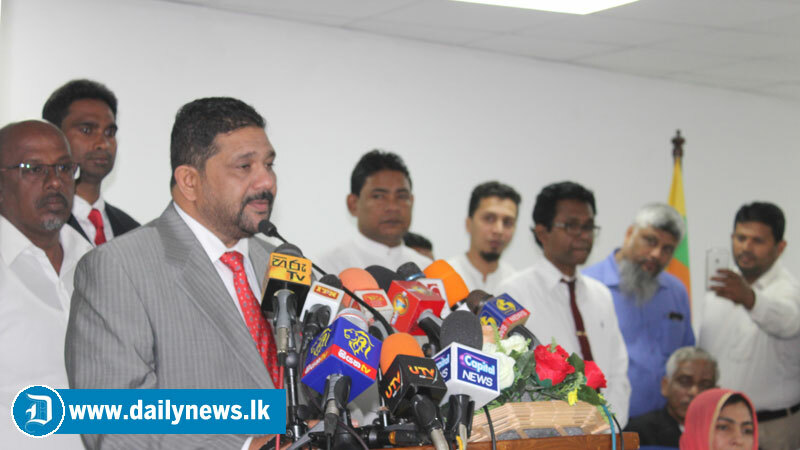 Azath Sally was first carrier as a Banker ,after his political career Colombo Municipal Council Member, Deputy Mayor and Central Provincial Council Member, National Unity Alliance (NUA) political party's Leader. Azath Sally said, He thanked President Maithripala Sirisena for appointing him as Governor and he will be fully sacrificed for development work, under president guidance work to gather western provincial 110 members, and also to develop western provincial council Education Sector.